A book cover is not just a mere protection of your book but it is actually your first form of communication with your prospective and target readers, giving it a vital role in the cultural practice of reading. In this day and age, your target readers belong to a social environment that easily gets influenced by visual dominance, which means that most of them will only pick up and read a book only if the cover appeals to them. 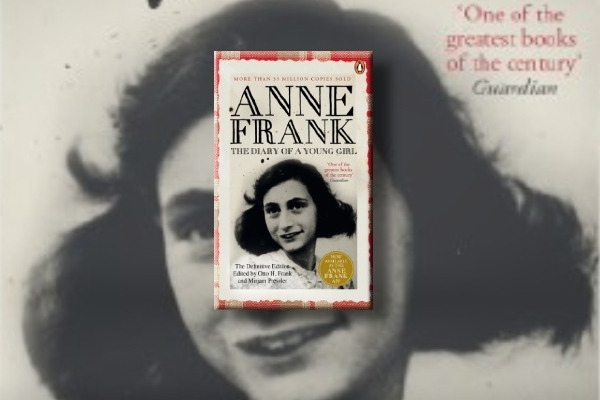 Given that fact, it is only imperative that upon designing a book cover, it must always convey an effective visual communication that will make your intended audience to continue inculcating the important practice of reading. 1. 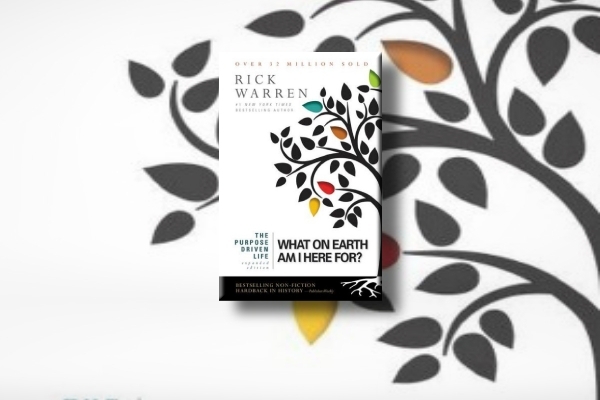 The Purpose-Driven Life: What on Earth Am I Here For? 1. Know how big your book will be. The size of your book will be the size of your front and back book covers, excluding the spine. To do that, you should already know the size of your book, particularly the trim size and the bleed. The trim size is the final dimensions of your book’s printed pages after the bleeds are cut off. The bleed is the part on the side of your book’s pages that gives printers a space allowance in case there will be a need to account for the paper’s movement while printing and in case there will be any design inconsistencies. 2. Launch Adobe and set your own template. As soon as you have already determined the right size of your book, launch Adobe InDesign, click File, New, and then Document. Set the Intent to Print, and keep the number of your pages to 1 with an unchecked Facing Pages option. Apply the appropriate size for your book cover and if you are already satisfied and if it already fits your book’s specifications, click OK.
3. Add your design elements. The design elements of your cover include the colors of your choice, graphics, and typography. Consider setting up a series of layers where you can easily organize these design elements on the cover. InDesign provides many design options that will allow you to bring texture into your entire book cover design and build your preferred palette of colors by creating new swatches. Do not forget to make the colors of your book cover suitable for print by setting the color type to Process and color mode to CMYK. Apply this step to both front and back covers. 4. Test, tweak, and repeat. Do not stop at your first attempt and continue to make more versions to have more options to choose from. Examine each of these covers carefully with a critical eye. If you notice that there are some things that you need to tweak such as the type size, the image placement, or the choice of colors, then go back and refine whatever that needs to be improved on. Do the process again and again if you must until you will be able to create a cover that will stand out and will have a positive impact on your target audience. The book cover of this devotional book encourages you to just use a minimal number of colors and design elements, and you will be surprised with its clean final outcome. The minimalist approach of its graphics allows more room for texts. However, it does not mean that you are compelled to fill up and pack the entire space with texts. Instead, you should still give room for negative or white space that makes your book cover look less overwhelming to look at. Usually, you would get discouraged when incorporating a lot of design elements on any design material, fearing that it would automatically look too cluttered; however, this book cover shows otherwise. 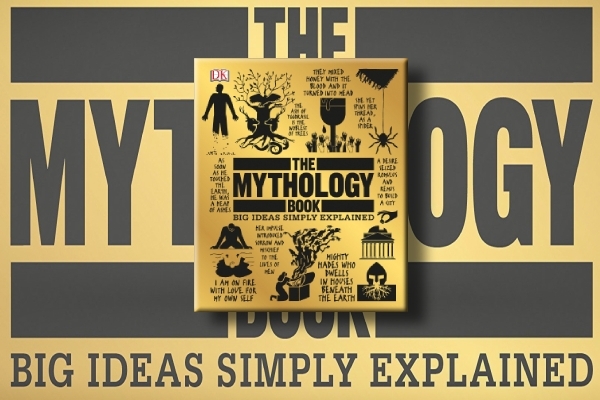 Even if this book cover contains a lot of scattered images here and there that are also coupled with texts, it still looks compact and this is because they only used a single color for the graphic elements which is black. 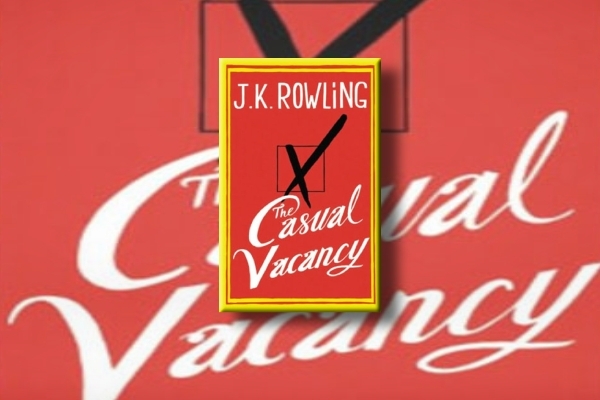 The choice of having one color all throughout created a uniformed look that enabled the book cover to look put-together despite the scattered design elements. With a famous author’s name, a simple vector image, and the book’s title written in fancy typography, this book cover design screams nothing but simplicity. As you may already know that when it comes to design, less will always be more. Your name as the author is an essential element that your book cover must always have, and for instance, you are already a bestselling author, your name alone will already sell and you no longer have to include fancy design elements to do so. One of the best ways to encapsulate the theme of a book on its book cover is through your choice of colors. 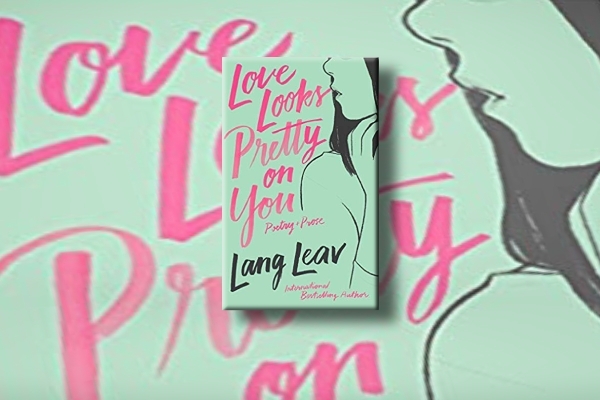 Obviously, Lang Leav’s Love Looks Pretty on You is a collection of poetry and prose that centers around love as its theme. And when you think of love, you think of dreamy pastel or muted colors to exude such feeling. The book chose the muted colors of pink and green along with cursive typography that further emphasizes the theme of love. When designing a cover for a comic book, sometimes you don’t have to include a long summary of what it’s going to be. Including a panel or a part from one of the book’s comic strips will just suffice to attract your target readers. 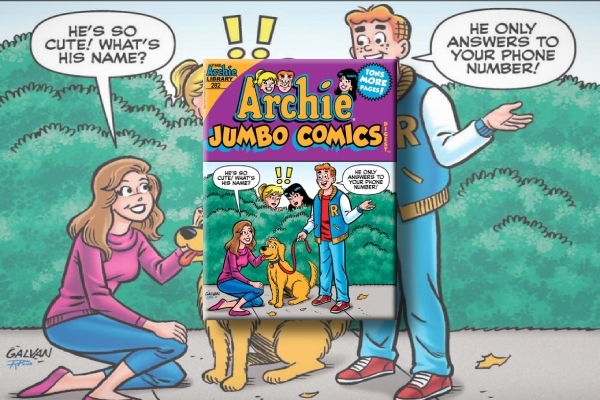 Just like one of this Archie comics digest, you can show a drawing that depicts a single moment within the comic book. What’s a cookbook without images of food on its book cover? 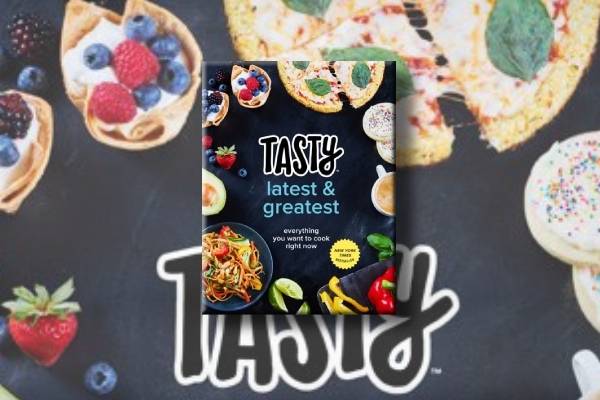 Tasty, a Buzzfeed’s popular cooking brand, had published a cookbook with a cover design that is dominated with images of literal tasty dishes. When designing a cover for a cookbook, images of delectable food will always be a must. Can you imagine selling a cookbook with just a plain book cover that shows nothing but its title and writer? You will surely expect no sales then. 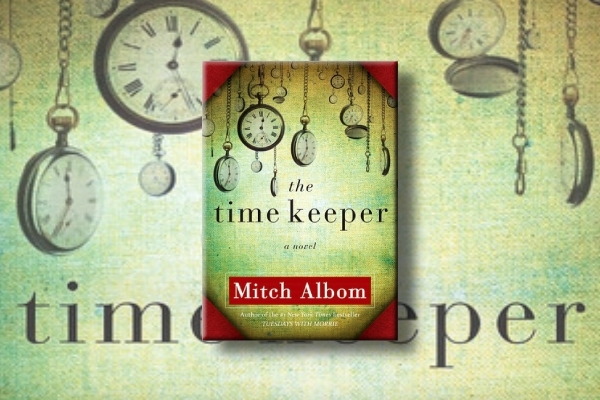 The book cover of Mitch Albom’s The Time Keeper is dominated with images of hanging watches or clocks that, of course, display time. In designing a cover, it’s often best that you consider what the book is all about. The Time Keeper is a compelling fable about the inventor of the world’s first clock who was punished for attempting to measure God’s greatest gift. And since it centers around time, what better way to present it than something that tells time, such as clocks? 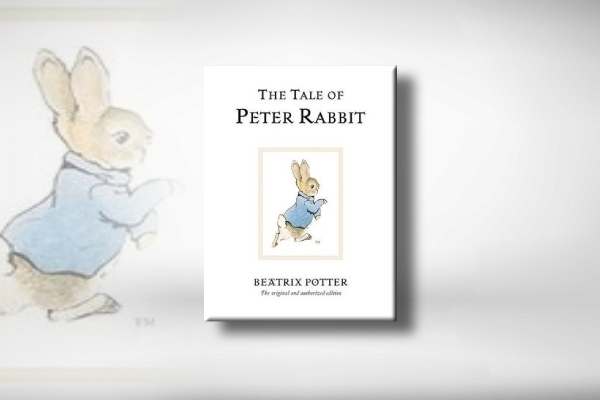 For books with a story that surrounds a single figure or character, consider including the image of that character on your book cover design such as this Beatrix Potter’s children’s book, The Tale of Peter Rabbit. Keep in mind that this book is targeted to children, and even if most children would love to look at pictures with a pop of colors, this book cover has given what children simply need and that is a clear image of how Peter Rabbit, the main character of the book, looks like especially with his trademark blue jacket on. Who says you can’t combine images and typography? 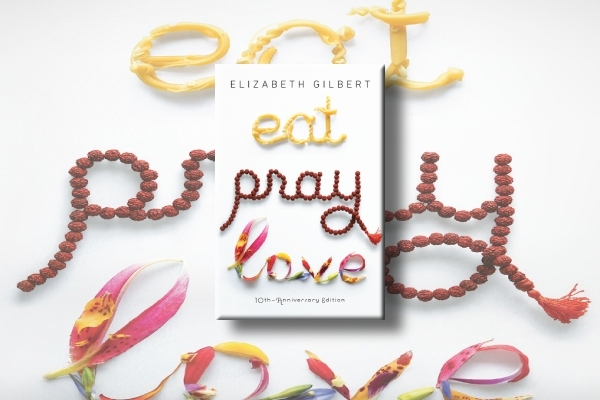 Elizabeth Gilbert’s Eat Pray Love book shows that you certainly can. Although this design method takes some time to achieve, it is important that you will be able to successfully incorporate such technique to bring life and add depth to an ordinary book title. We hope that with the help of this article, you can finally create a book cover that will not only appeal to your target readers or audience but will also embody the text inside the actual book, the author, the illustrator or the graphic designer, the publisher, and, of course, the culture and society it intends and aims to target.